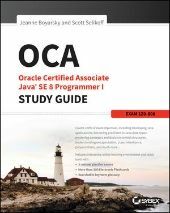 These are frequently asked questions relating to the Oracle Certified Java Associate certification, and the common answers to them. Where can I find the FAQs for the new OCAJP7 exam? Where can I ask questions about the exam that aren't covered in this FAQ? That's what the JavaRanch SCJA discussion forum is for. Where can I find the SCJA exam objectives? Where can I find the official Sun Java FAQ? Are there any books / resources for this certification? What are the free mock exams available? Whizlabs' SCJA Trial version The Trial version is free and consists of two portions: Trial (16 questions with answers) and Diagnostic (51 questions without answers). What are the commercial mock exams available? For the multiple-choice questions, will I be told how many options to choose for each question in real exam? Are there any tips and advice for taking this exam? Please use the Search facility (at the top of the forum) to look for more older threads in SCJA forum at JavaRanch. Examples of search words like mock, J2EE, J2ME, beta, etc. What is the policy on posting questions I saw on the exam? You may not describe or talk about the questions you saw on any of the Sun exams - see the JavaRanch's Policy on Real Questions for further details. What other certifications do I need before I go for the SCJA certification? No prerequisites for this certification. Where can I find information on Cost / Location of exam sites in <your country>? Select "Sun Microsystems" from "Testing Program"